- And the um… uh, what’s the third one? 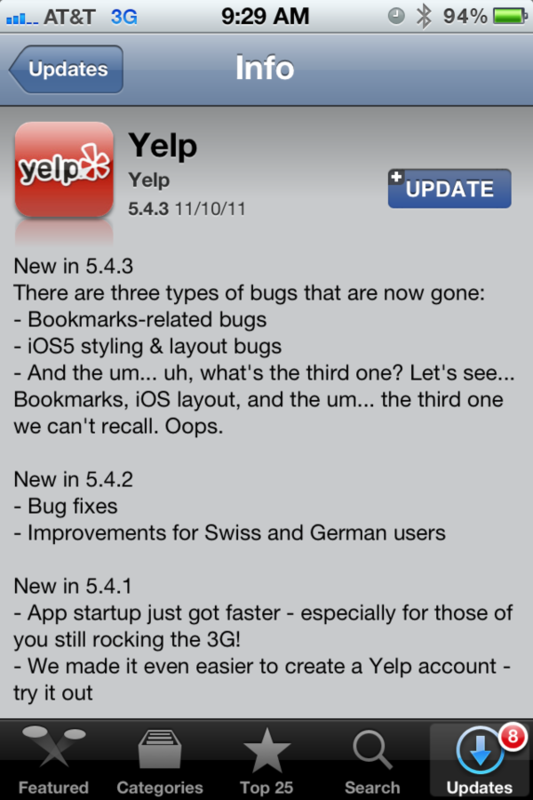 Let’s see… Bookmarks iOS, layout and the um.. the third one we can’t recall. Oops. Where do you draw the line? Hey, I like a joke just as much as the next guy, but there is a time and a place for it. I read all the funny commentary on Rick Perry's mental block all over the place and found most of it amusing. However, this to me seems inappropriate. I get my political fix elsewhere, so let's not bring political warfare to the App Store, m'kay? I thought Apple stringently screened updates. 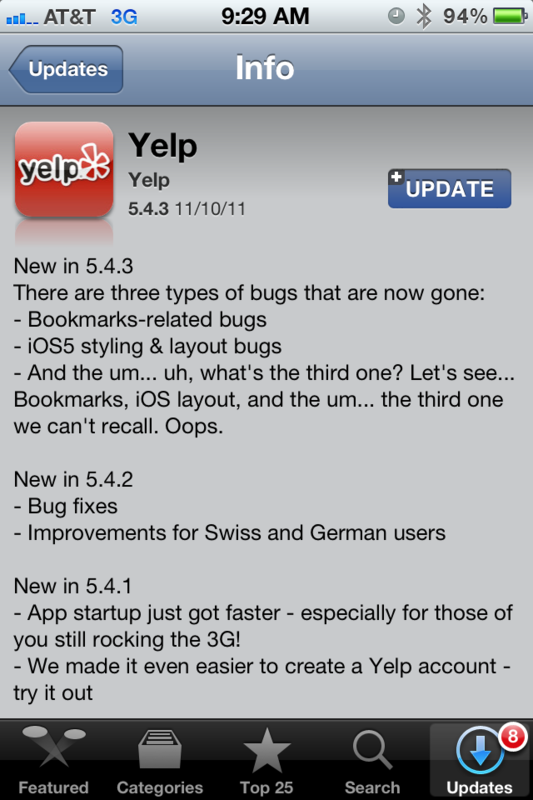 Do they not screen the release notes?